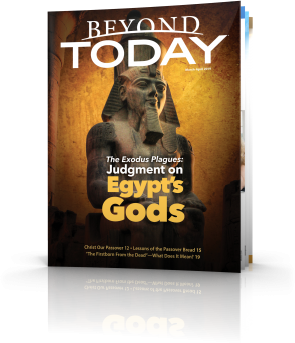 The Mar-Apr 2015 edition of The Good News examines the authenticity of Easter, one of the most revered days in popular Christian culture, yet its origins go back hundreds of years before Jesus Christ's death and resurrection. 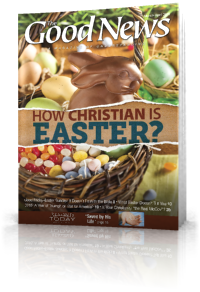 History records that centuries before the death and resurrection of Christ, there were already ancient Easter celebrations—springtime fertility festivals honoring resurrection and worship of the rising sun long before Jesus' birth! This is where we get such popular Easter symbols as rabbits and eggs, which were popular fertility symbols centuries prior to Christianity. 1. Where Do You Get Your Beliefs? 2. 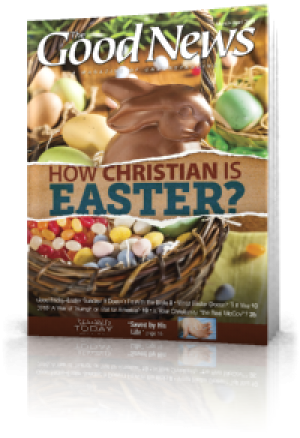 How Christian Is Easter? 4. Good Friday - Easter Sunday: It Doesn't Fit With the Bible!